Trim off spent blooms from annual flowers to encourage additional blooming and extend their growing season. Once spring blooms have finished flowering and the foliage is completely brown, trim the foliage to make room for summer flowers and to keep beds looking neat. After spring flowering shrubs have stopped blooming, prune them appropriately to keep their desired shape. As spring rains taper off and summer temperatures heat up, adjust watering schedules as needed. Soaker hoses are ideal for beds and gardens, and lawns should be watered deeply but less frequently to encourage strong root growth. Fruits and vegetables that require warm soil are best planted in June, such as corn, pumpkins, beans, squash, and cucumbers. Add additional mulch to gardens and flowerbeds to conserve water and minimize weed growth. Grass clippings are a good, inexpensive option. If perennial plants are becoming too large or need better control, they can be best divided in June and transplanted to new locations. Now is also a great time to add new perennials to the yard. Cool season fruits and vegetables will be nearly spent in June, but there is time for one last harvest of strawberries, radishes, lettuce, and spinach. Before new crops get too dense, thin rows and beds to give them appropriate room for robust growth. 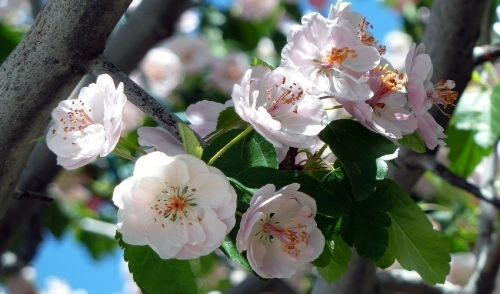 Thinning blossoms and early fruits on trees will encourage larger produce instead of stunted crops. Weeding is a never-ending task, and it is important to keep up on the chore in June when the garden is still getting a strong foothold. 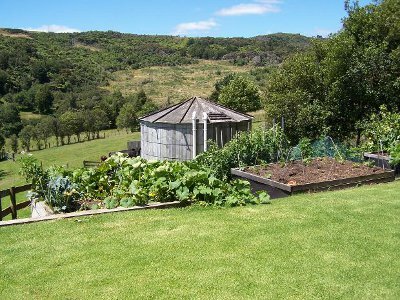 Regular weeding now will help crops get a good, sturdy start for better results in autumn. As new crops get taller, loosely stake thin or floppy plants to keep them from tipping and breaking. June is also the best time to begin training vines and climbing plants to keep them under control. Nature can provide natural pest control for gardeners who attract bats and birds to their garden. Put up a bat house, add a bird feeder, and take other easy steps to bring wildlife to the yard and let them feast on garden insects. While June may not be the biggest season for planting, there are plenty of garden chores that need attending too and will keep any gardener busy throughout the month.